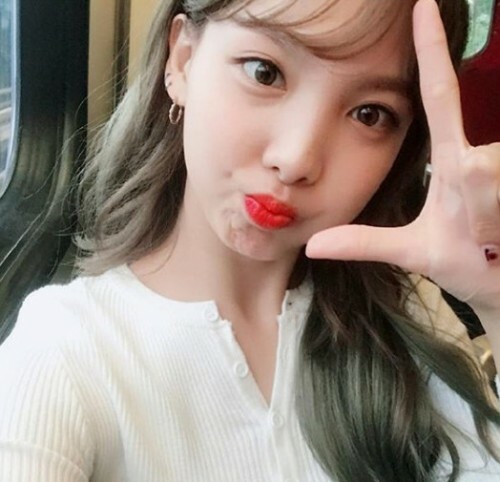 TWICE member Nayeon has revealed her cute selfie. Recently, Nayeon uploaded the photo on her Instagram, and wrote, "#LIKEY photos #Waitwait #ThisIsASpoiler." In the photo, Nayeon is puckering her lips, showing off her lovely charms. She is making a "L" sign with her fingers. Her green hairstyle is garnering fans' attention. Meanwhile, TWICE will make their comeback with "LIKEY."